Recorded Live at El Paso Country Colosseum, El Paso, Texas, USA - August 18, 1986. VG- Audience Recording :: Bootleg CDR :: CBR 320 kbps & FLAC. Files: 13. :: Size: 207.23 MB (mp3) / 485 MB (flac) . 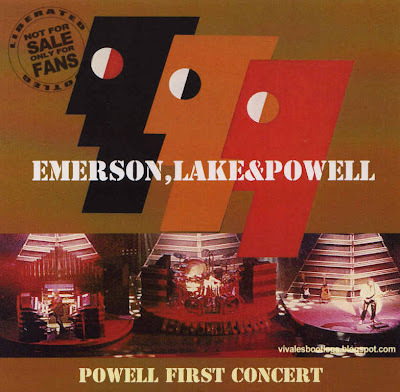 Personnel: Keith Emerson :: Greg Lake :: Cozy Powell . Many thanks for this upload, only had an incomplete version of this show so far. Actually the date should read August 18, 1986 as printed on the cover. 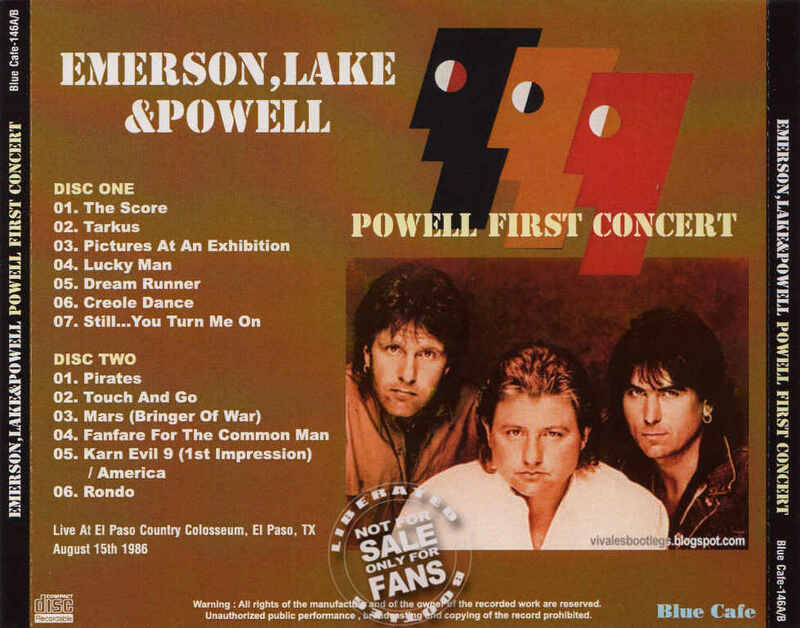 This is not their first gig with Cozy Powell. Their first gig with Cozy Powell was at The Six Bells, Chiddingly - a pub a few miles outside Eastbourne in East Sussex. Presumably this was chosen as Keith Emmerson lived in Chiddingly for many years. Thanks for the ELP. Glad so see one link is still working.